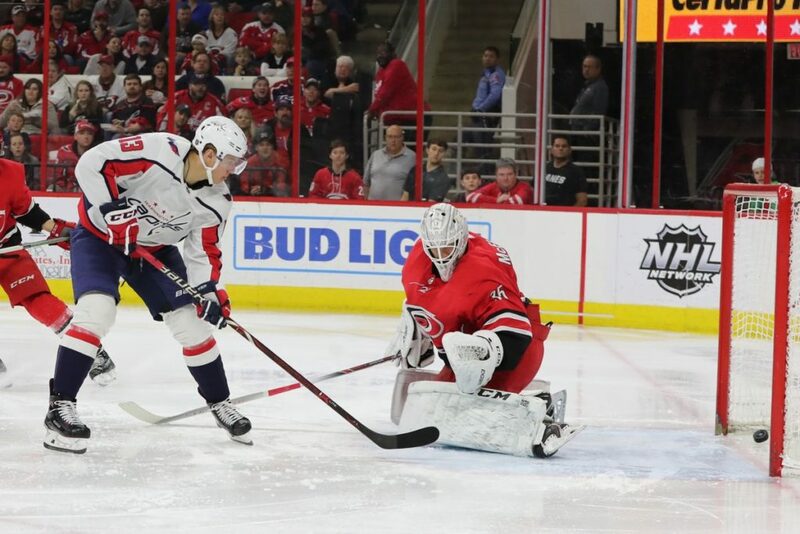 The Washington Capitals take a commanding 2-0 series lead to Carolina as they play the Carolina Hurricanes in Game 3. While the Capitals are in command of the series, no win has been easy. Taking the series on the road means the challenge will continue, and the whole team needs to come together. Brooks Orpik’s goal early in overtime to end Game 2 was symbolic of a back-and-forth contest. The Caps were able to answer every goal the Canes scored. Both teams ride their high-powered offenses to keep each game close. The Caps are winning, but they understand and acknowledge the competition of the Canes. Much praise should be given to goaltender Braden Holtby. His 2.46 goals against average for two games is more than his total average, but he has stood firm for the series. While he let some goals go past, he has been resolute and avoided the game winners, keeping his team alive in the clutch. In the goalies duel with Petr Mrazek, Holtby is winning. With their Stanley Cup win last season, the stigma of Capitals teams past no longer haunts this team. No more labels of “choking” or “unable to close” plague the franchise, and the current Caps know this. Losing the stigma has allowed them to play easier, and they are ready for the next showdown. Game 3 is sure to be a great show between two competitive teams. Braden Holtby is starting as goalie. Petr Mrazek is in net for Carolina. Game is at PNC Arena. First puck drops at 7:00 pm.